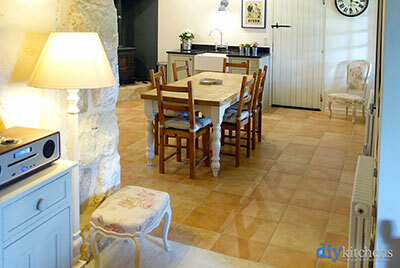 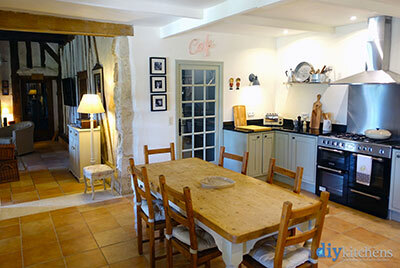 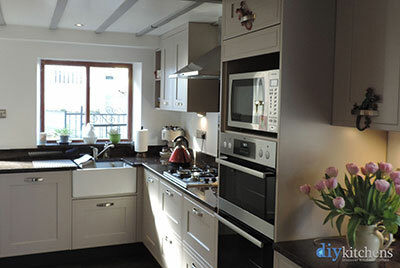 Judy from Northumberland "I'm attaching some photos of my kitchen. We have very high ceilings and so used the tall units as wall units to fill the space. 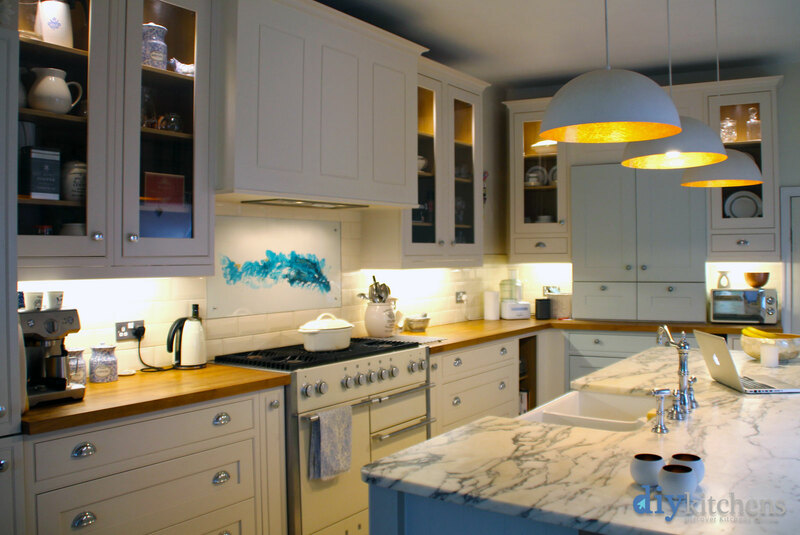 I love it." 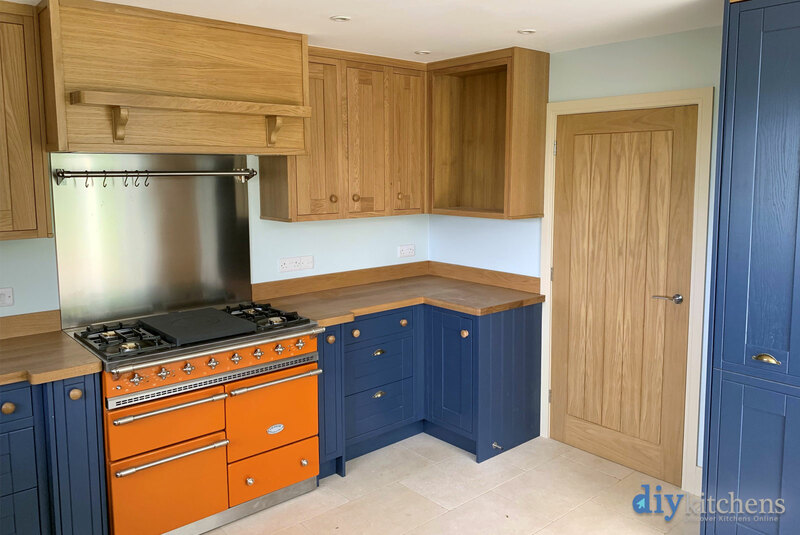 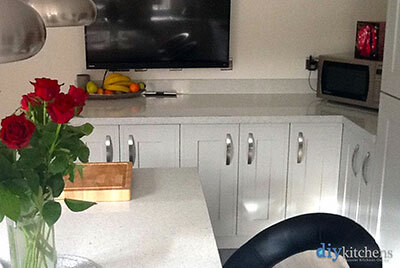 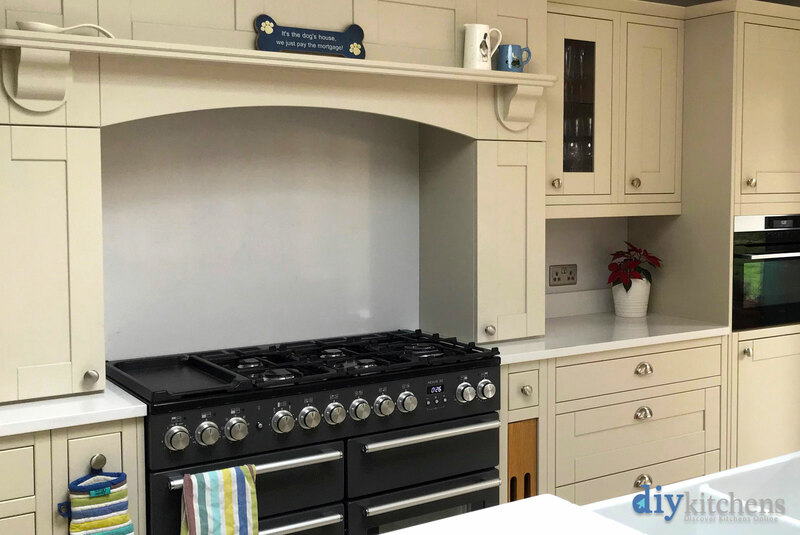 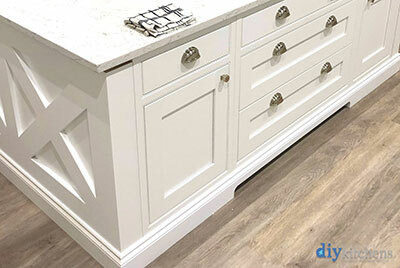 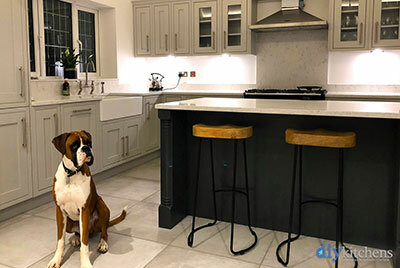 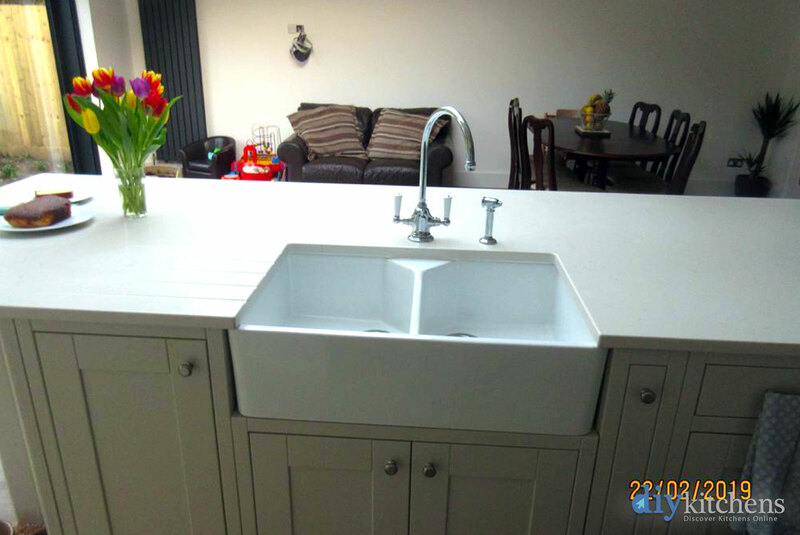 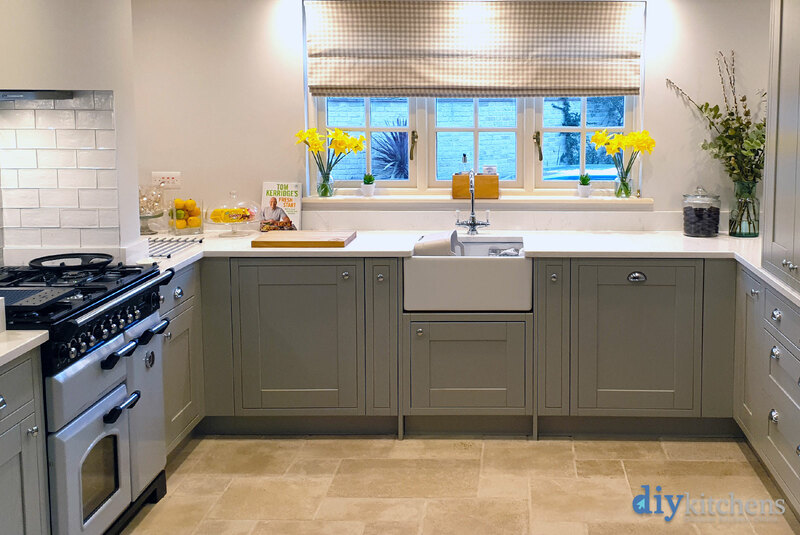 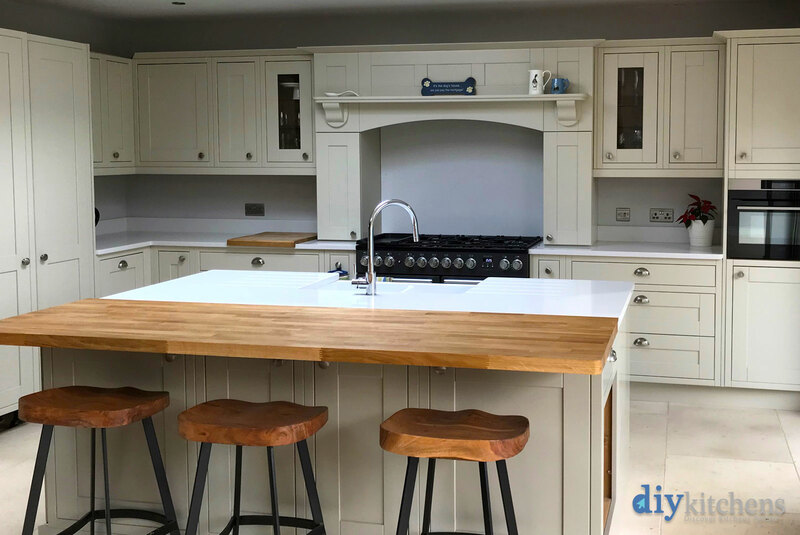 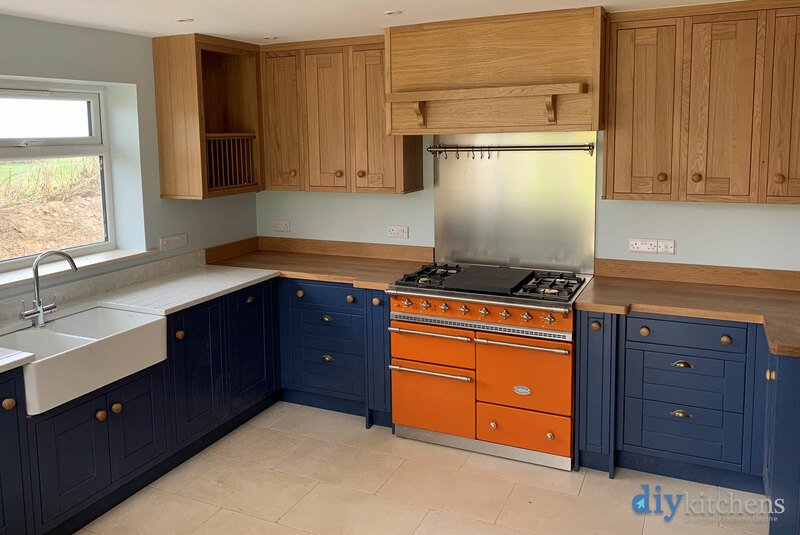 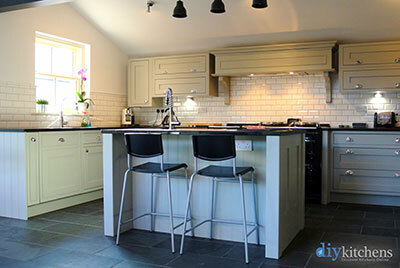 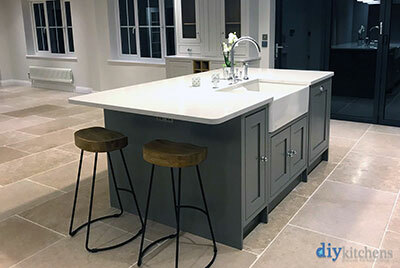 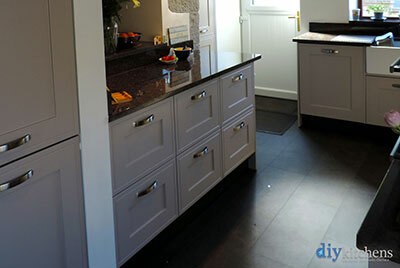 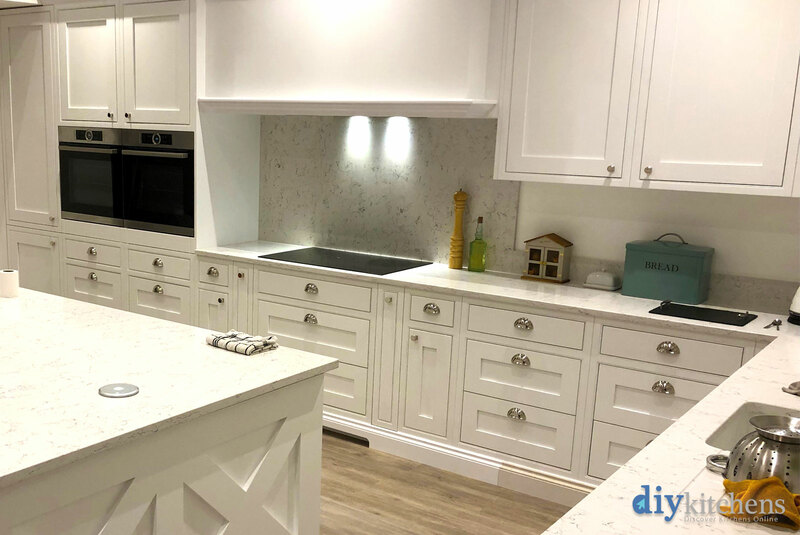 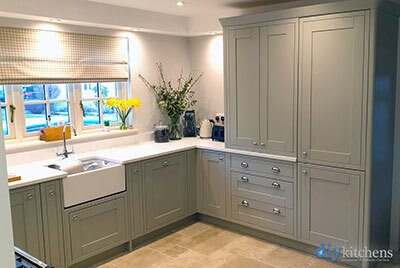 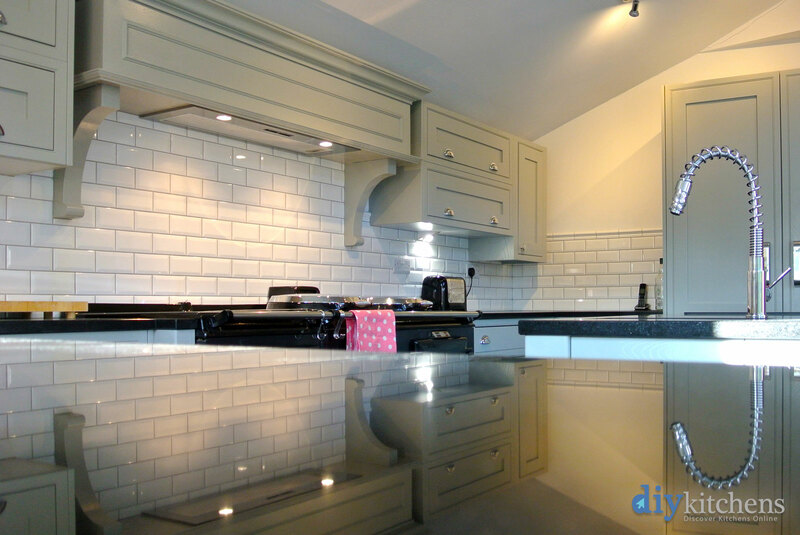 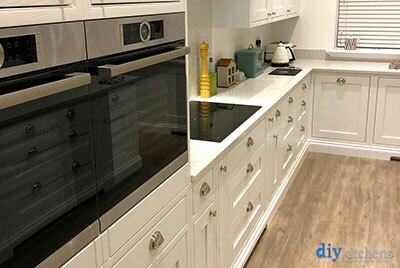 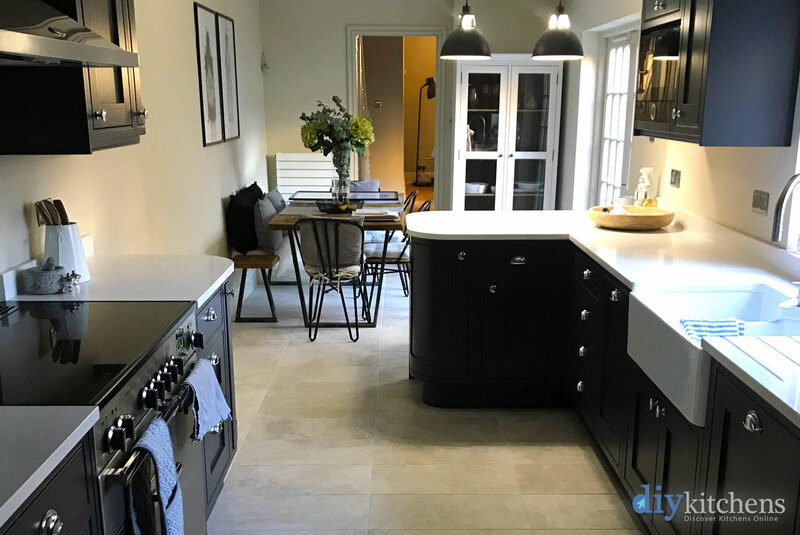 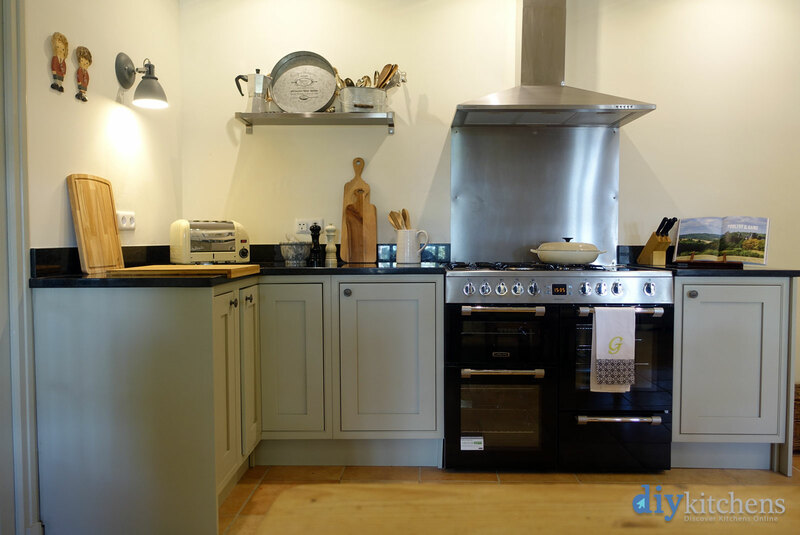 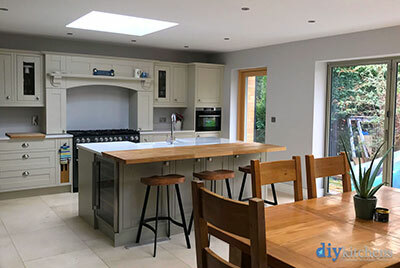 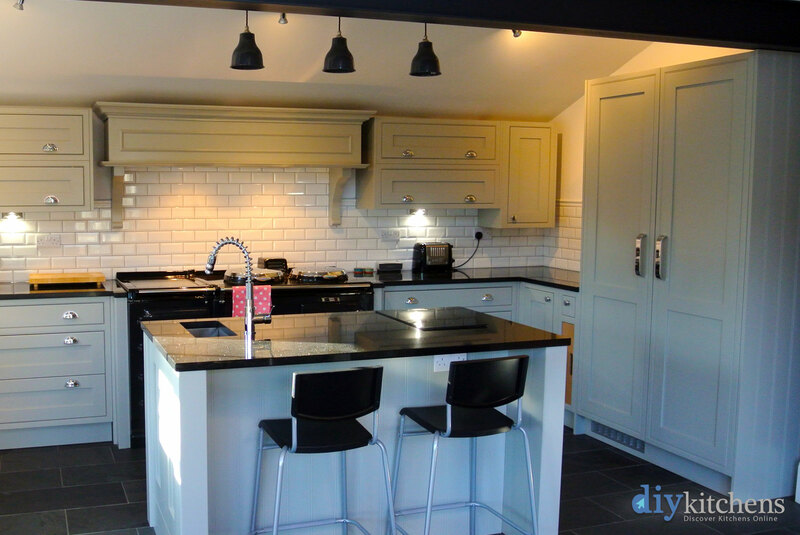 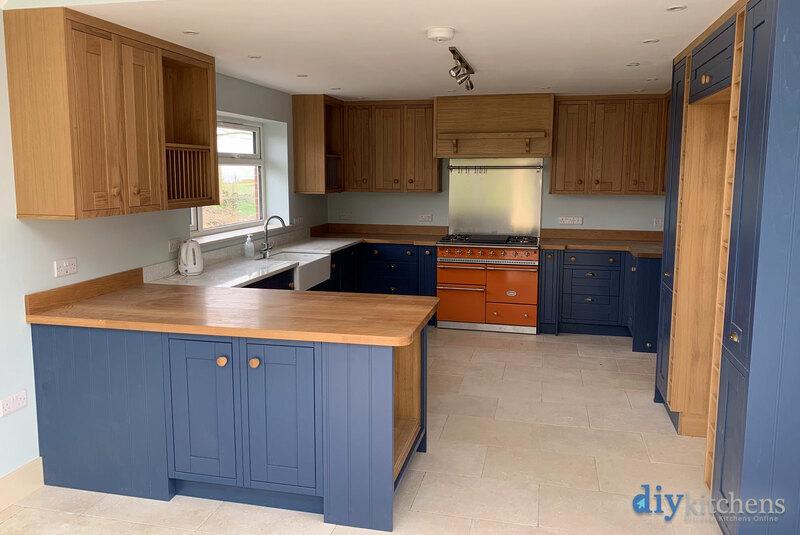 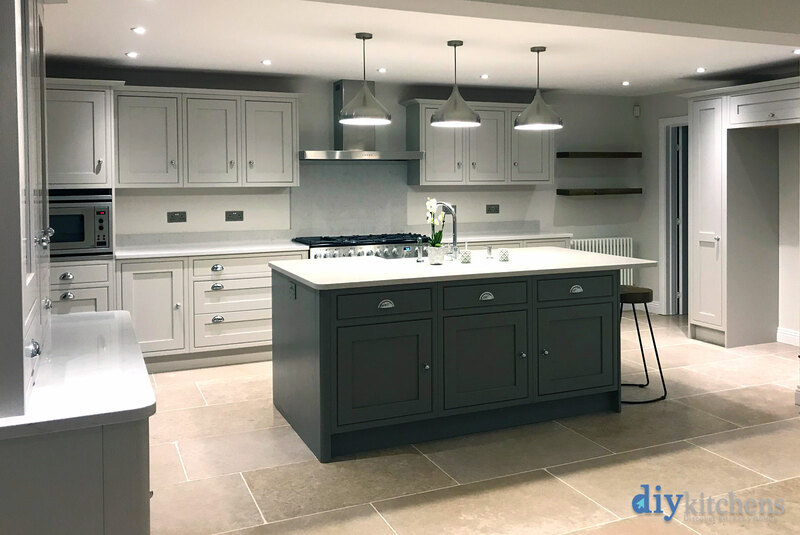 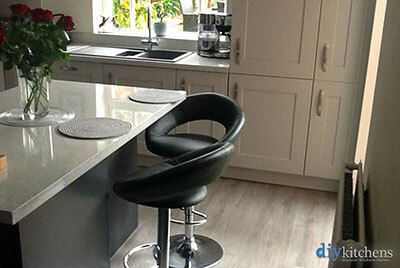 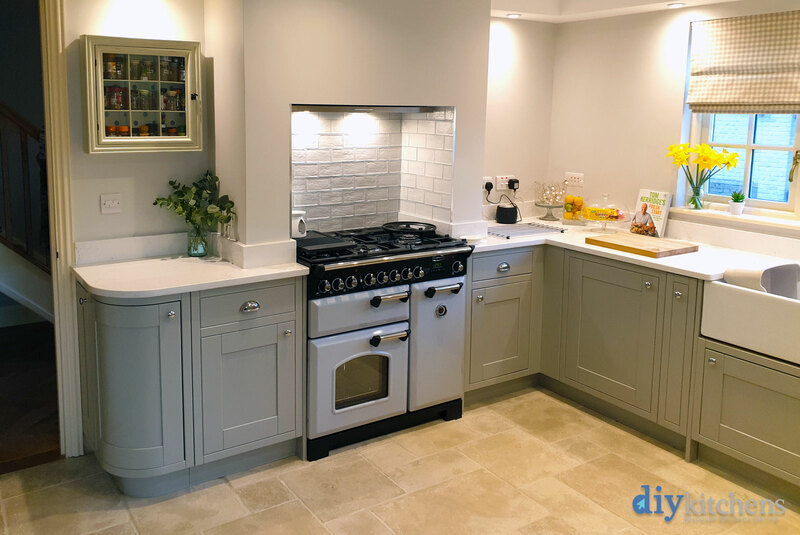 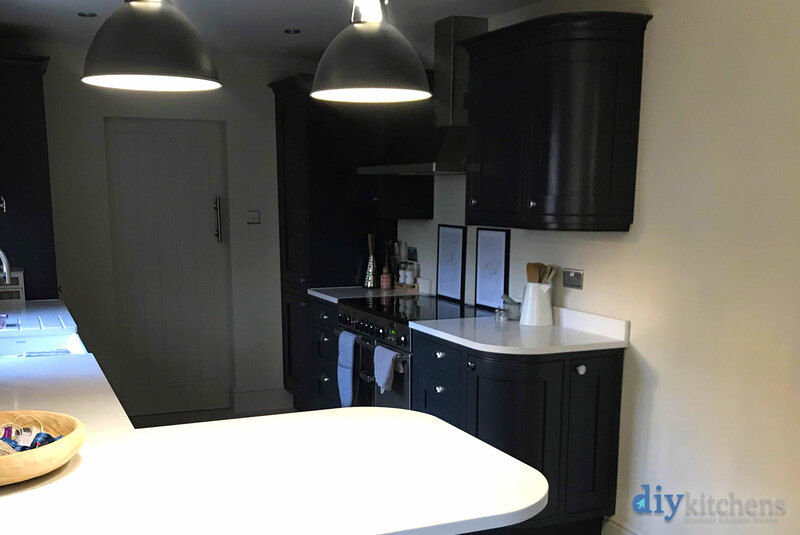 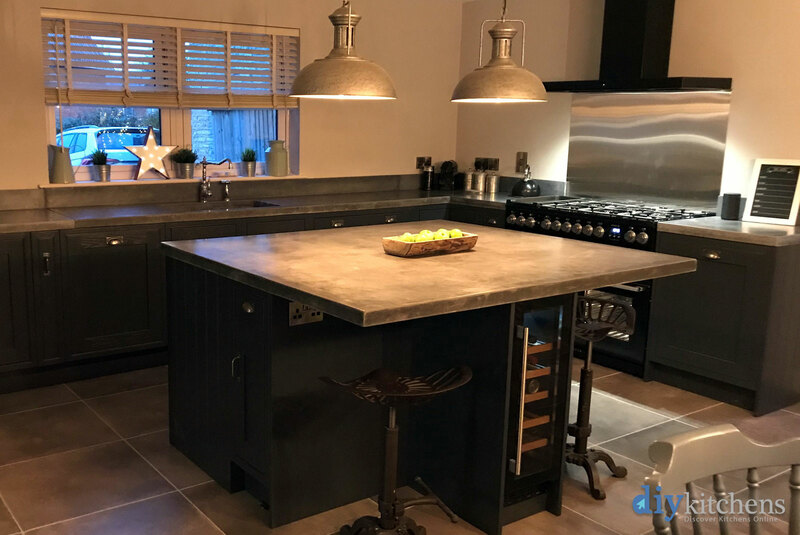 Jason From Cambridgeshire "I was recommended using DIY Kitchens by a friend of mine who had not purchased from you himself but had heard great things from a friend. As this recommendation was 3rd hand I was skeptical and hesitant to purchase from a website. 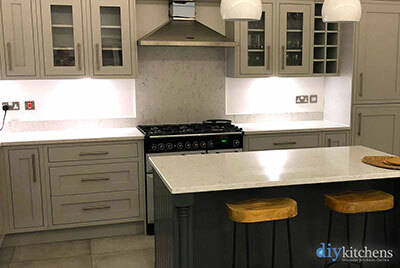 I decided to Visit your showroom and all my concerns soon disappeared as the build quality of the kitchens, support and choices you had to offer soon became clear. We went on and purchased our kitchen from you along with the units for a utility room. 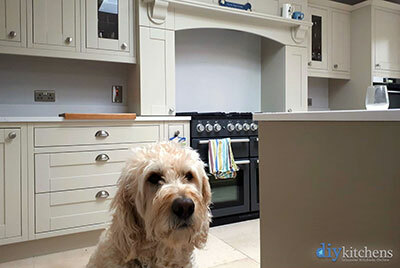 I found the process easy and very transparent with no hidden charges, whenever I had a question the online support team were quick to respond. 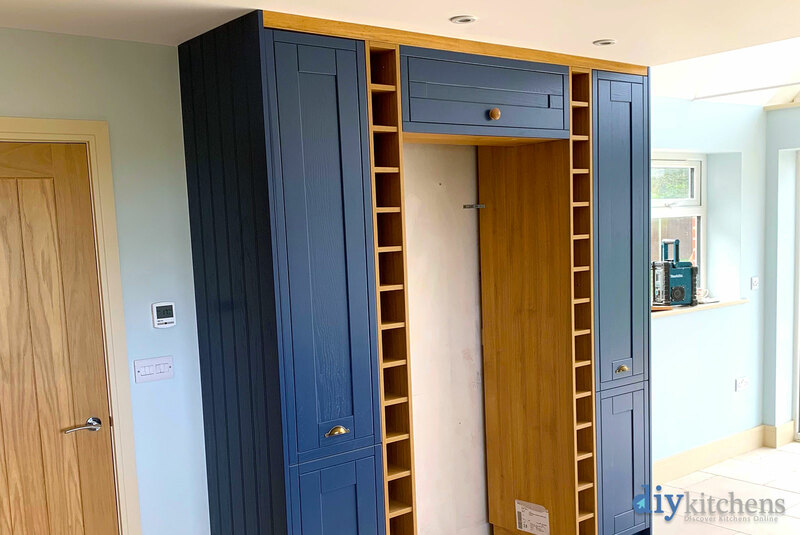 We had a few issues with delivered items ie one broken and one on back order but again customer services were quick to respond and the items were delivered within that week and did not hold up my fitting. Overall I have enjoyed purchasing from DIY Kitchens. 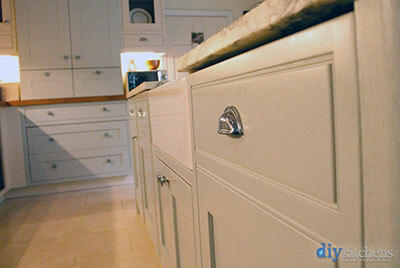 Great Products and Great customer support to back it up. " 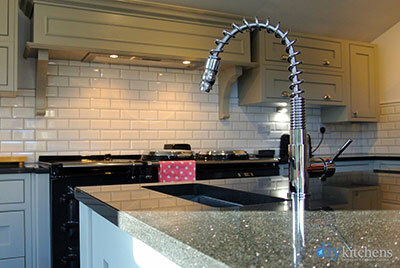 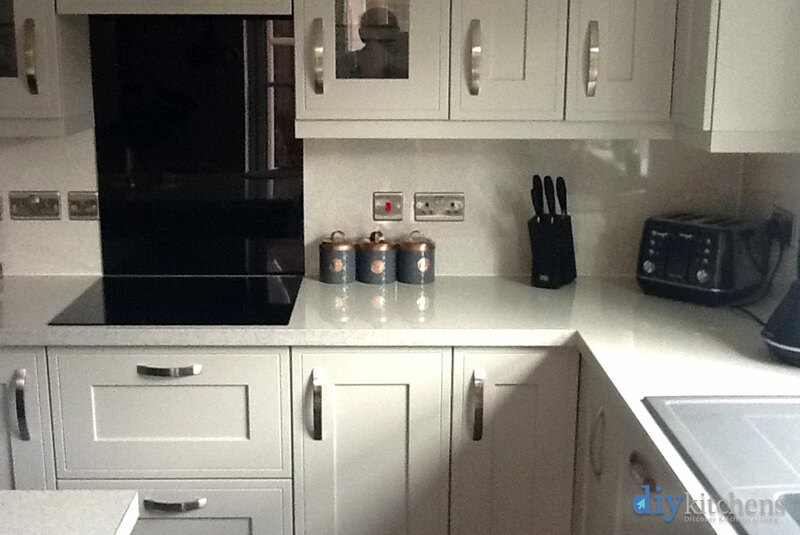 Les from Sleaford "Your kitchens are just great and fit perfectly. They are very good units and the fitter said how good they are too." 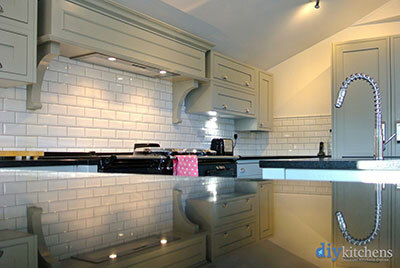 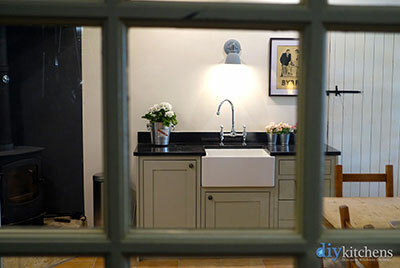 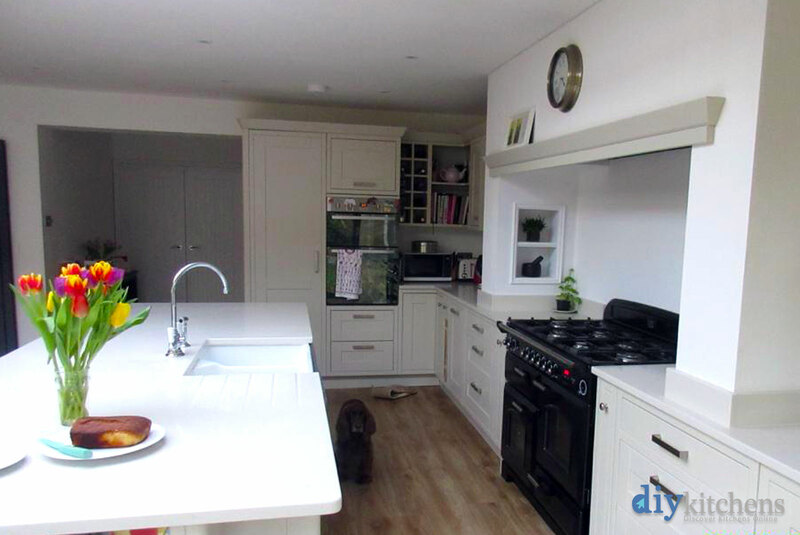 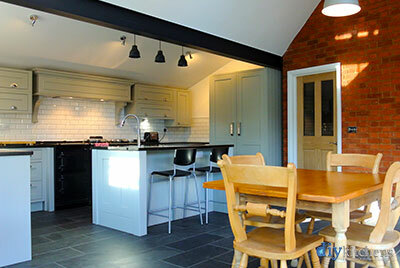 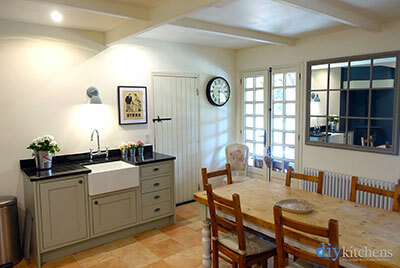 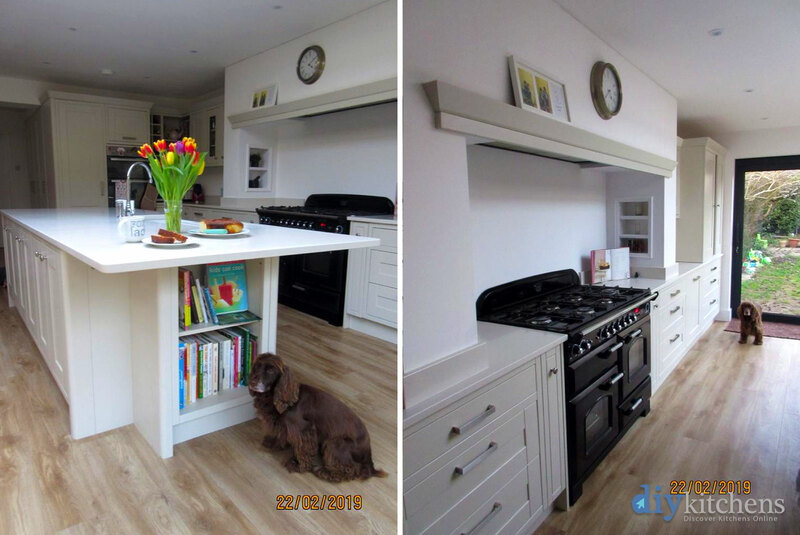 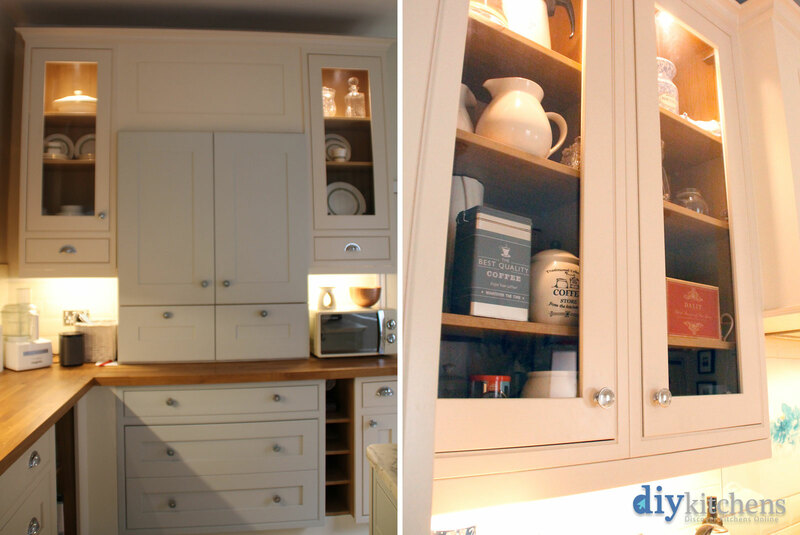 Helene from Berks "Finished Hemlsley bespoke painted kitchen pictures." 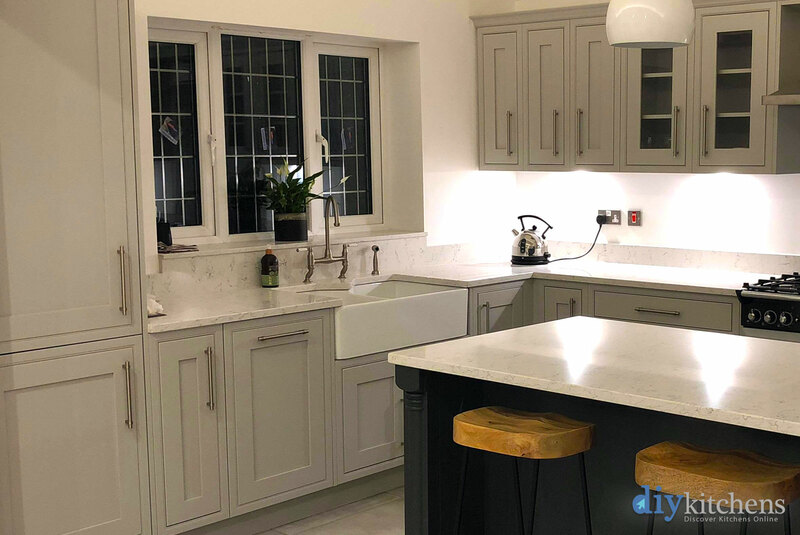 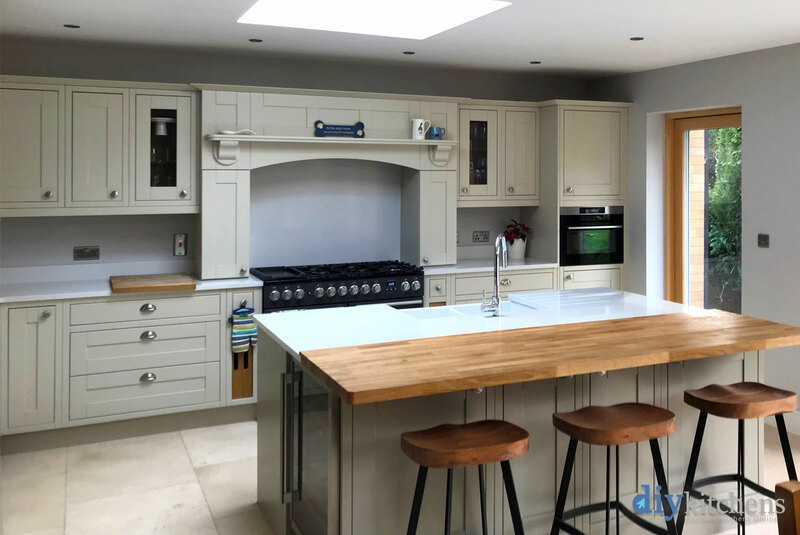 Gavin from York "I thought you may like to see pictures of our recently fitted Helmsley kitchen in light grey in our property in York. Complete with Bruce the Boxer, who is as impressed as we are! 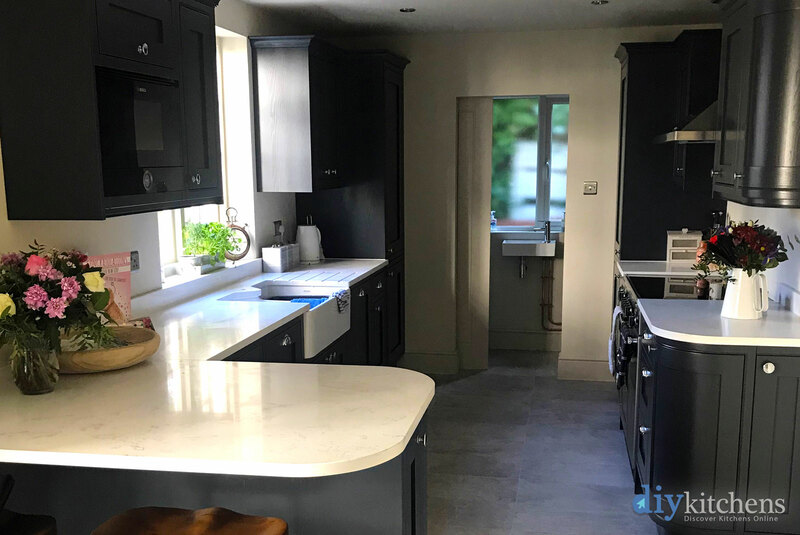 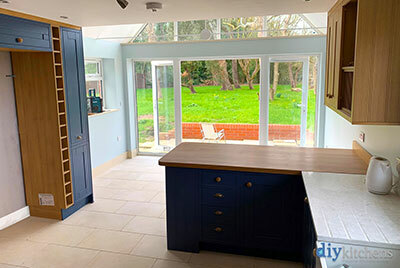 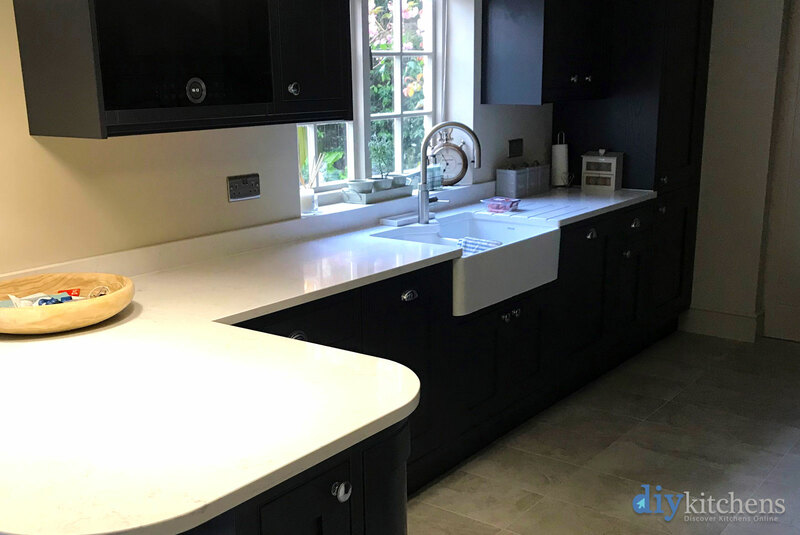 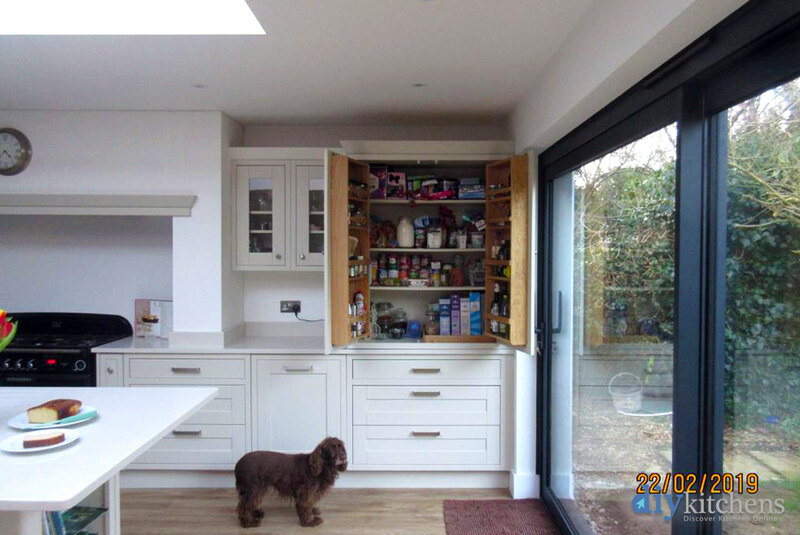 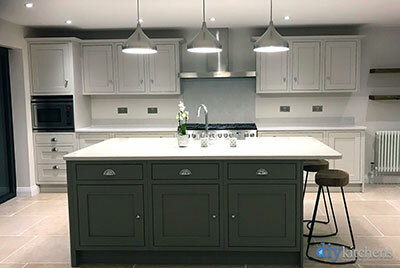 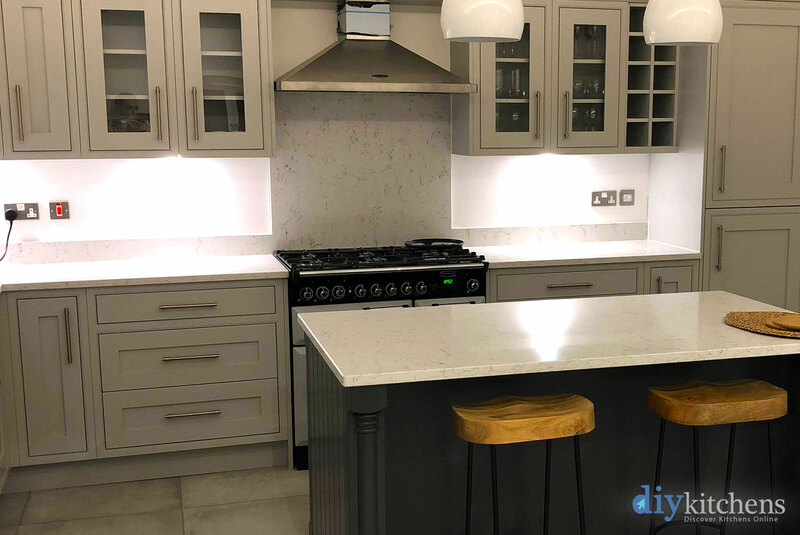 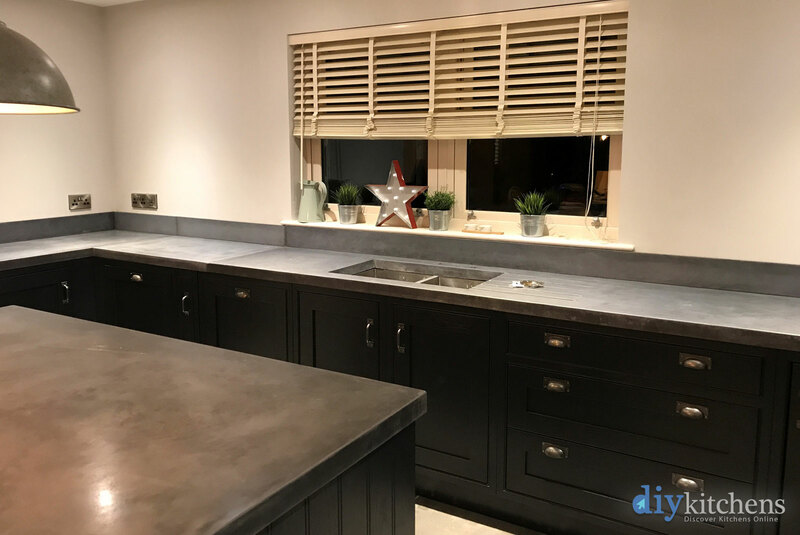 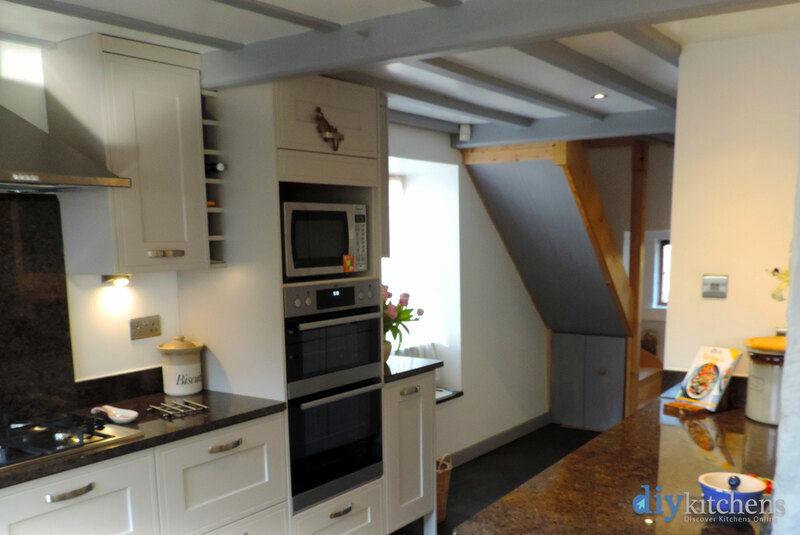 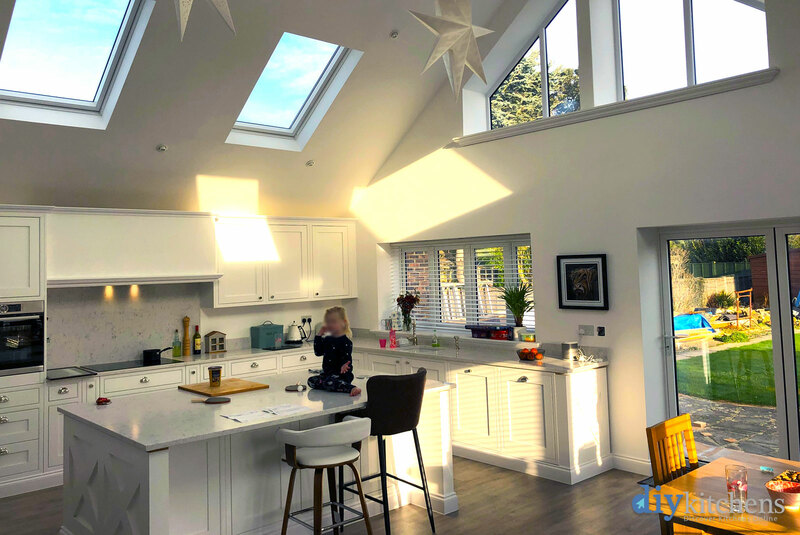 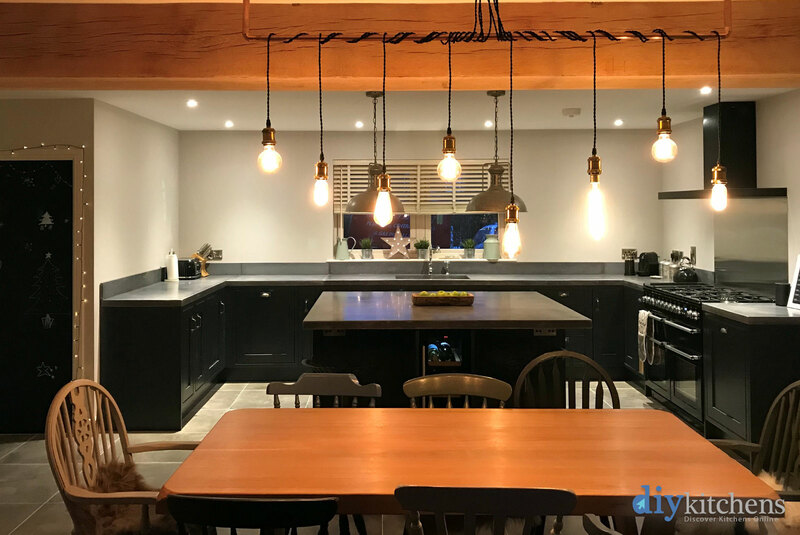 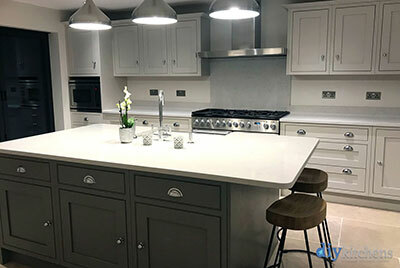 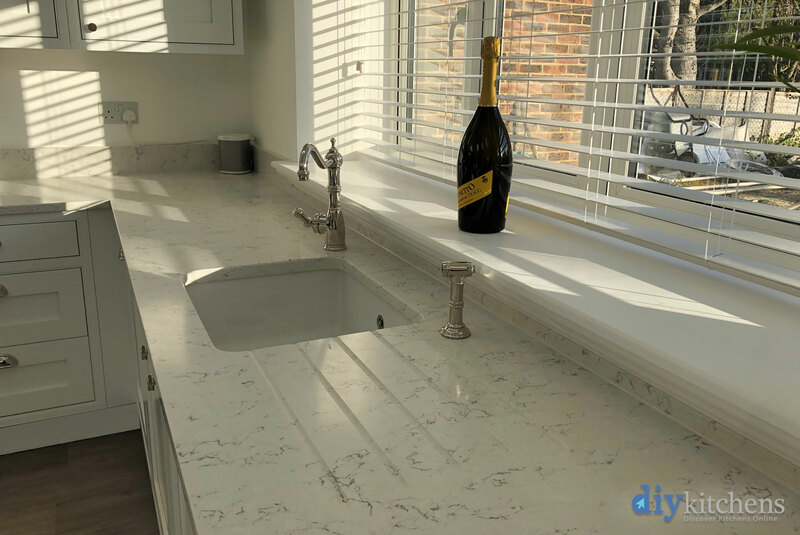 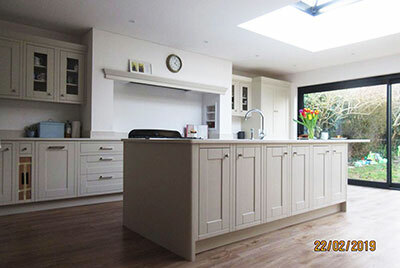 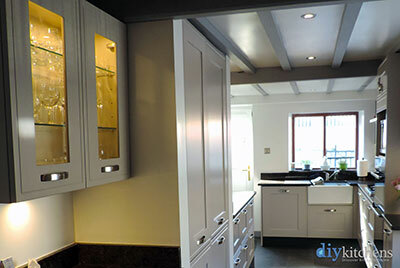 The carpenter who completed the fitting was understandably impressed with the quality of the kitchen, as were we with the whole customer service experience. Many thanks to you all at DIY."